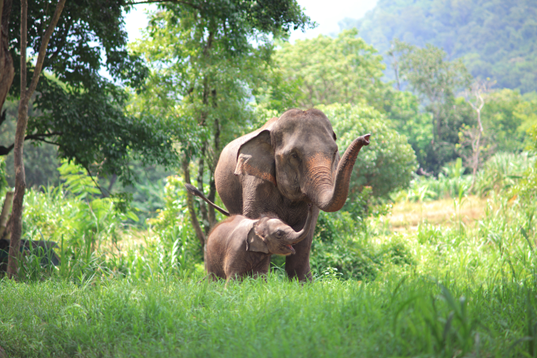 Wonder Laos has nothing to offer for the family with kids but adults? The list below will be of your help.Planning for a family vacation can be always challenging but it can be one of the most rewarding experiences you get as a family. 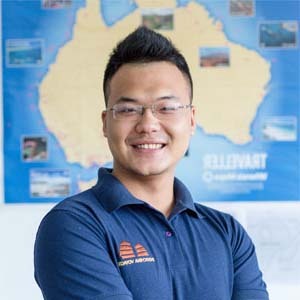 To continue our topics about traveling with kids in South East Asia, today I am writing about kid-friendly places in Laos for your children as well as all family members to be attracted and I believe you will be amazed to know Laos has a lot to offer for your family so putting everything together for a smooth and joyful trip is no more a big issue. Budha Park, formally Xien Khuan which means Spirit City is a famous sculpture park on the outskirts of Vientiane for 25 km ride. The Budha Park boasts over 200 statues portraying Buddhist and Hindu legends was constructed since 1958. Their enormous size is also a reason to appeal tourists coming here for their nice photography, among these, the most striking statue is a pumpkin-shaped structure and a reclining Buddha – Wat Xiengkuane styled Wat Pho in Bangkok. 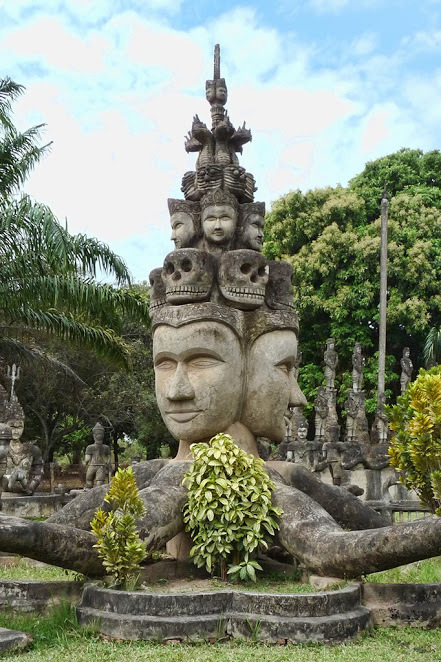 An Elephant of 3 heads is also a popular item that you can find in the park as it bears a special meaning in Laos – the land of million elephants. Apart from giant statues, the park has a lot of greenery space so that your kids will find this an ideal picnic site to play and relax while you are busy with endless photo chances. Also, there is a local café for food, light snacks and drinks to tourists on the other end of the park right beside the Mekong River making a great spot to chill after all the walking and climbing. There is a small fee for entering the park as well as for photography. How to get there: Public bus number 14 from Vientiane, tuk-tuk or rental motorbike but ensure you are back to the city before dark. The Elephant Conservation Centre in Luang Prabang is absolutely worth a visit because this is an exceptional educational center dedicating to save the life of Asia elephants instead of a touristic entertaining place as normal for elephant riding all day. Since launching this project in 2011, the project is proud to bring you and your children an authentic experience with elephants where you come and meet the elephants in their natural environment with the hope to enhance the awareness for people to protect this endangered species. Day 1: Travel to Luang Prabang by minivan – Boat trip – Walk Through the Forest – Picnic Lunch – Nursery Visit – Hospital Visit – Observe Elephants Bathing – Encounter Elephants & Mahouts – Bring the elephants to the forest – Dinner. 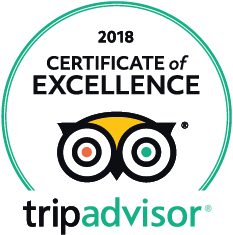 If staying here for 1, 2 nights is still not enough for your elephant passion, you can totally join the volunteering project for a more in-depth insight into protecting activities. How to get there: a minivan service is provided that leaves in front of the post office at 8:00 and takes you all the way to the boat pier in Sayaboury. After your program is finished we will drop you off at the same point in Luang Prabang at 17:00. 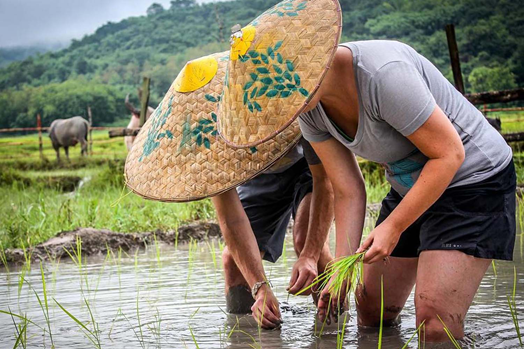 Only 5 km from the Luang Prabang city centre, you and your kids can try your hands to grow rice from very first steps until the last step to prepare for a healthy meal with boiled rice. 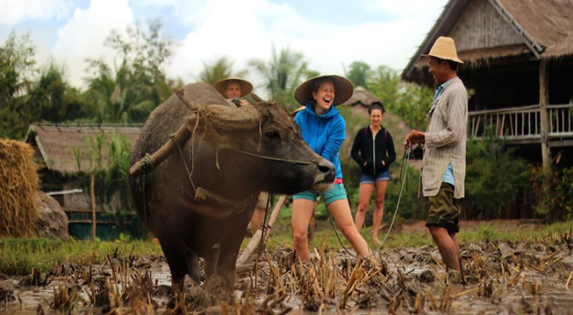 The “Rice Experience” or “The Rice if Life” will be a great choice for the whole family to learn about traditional rice cultivating culture of Laotian that takes you only half a day in ancient idyllic rice terraces. Joining in the team of rice farmers and planters, you will be guided through 14 stages: Selecting the grain, Planting the seeds in a nursery, Ploughing the field, Transplant the seedlings, Water & Weed, Harvesting, Thrashing, Cleaning, Packing and Storing, Husking, Separating grains from husks, Soaking Rice, Cooking & Feasting. 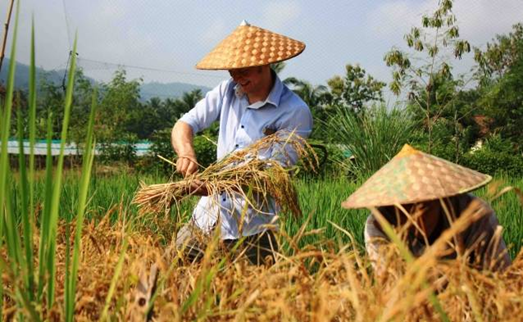 If time allows, you can combine the rice planting course with a cooking class at farm given by the local chef. The organic products are varied within area of Living Land including vegetables, herb and salads that are daily provided to top hotels and restaurants in Luang Prabang. Let’s spend half a day to “get dirty” in thick muddy water and to have the most memorable time for the whole family!